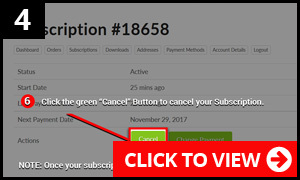 SCW OnDemand & SCW Membership subscribers, you must be logged into your account to modify/cancel your subscription status. 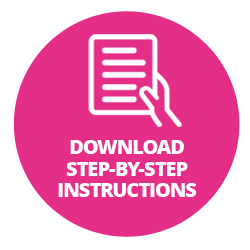 This applies to any and all products/services purchased in the SCW store. 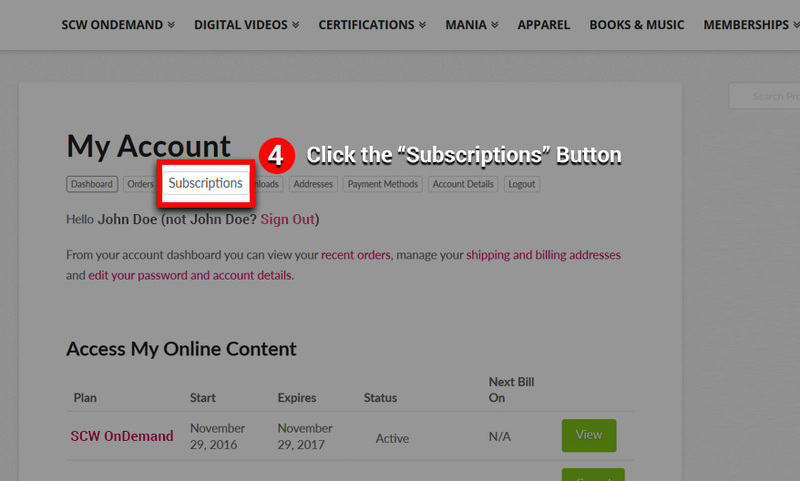 To cancel your SCW OnDemand Subscription or SCW Membership Subscription you must be logged into your account. To log into your account click the “My Account” link. If you lost your password, you can always recover and reset it using the “Lost Password” link. 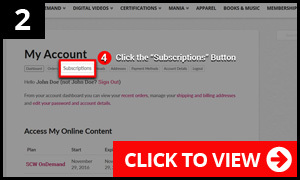 Click the “Subscriptions” button located directly under the title “My Account”. 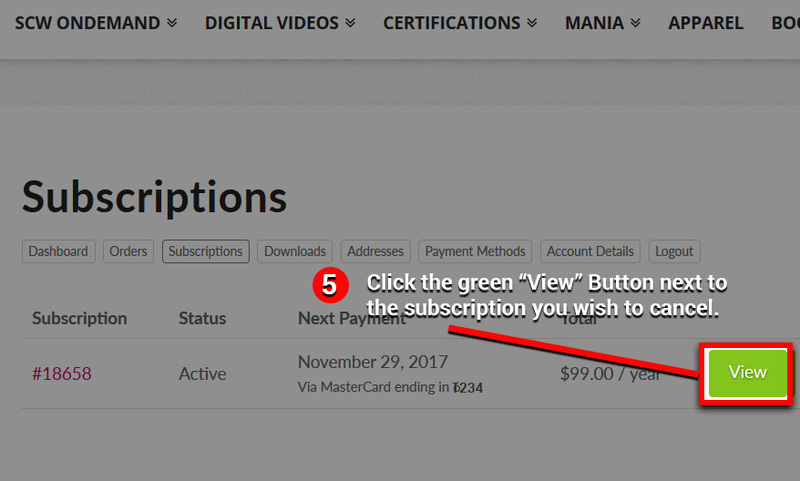 Click the green “View” Button next to the subscription you wish to cancel. 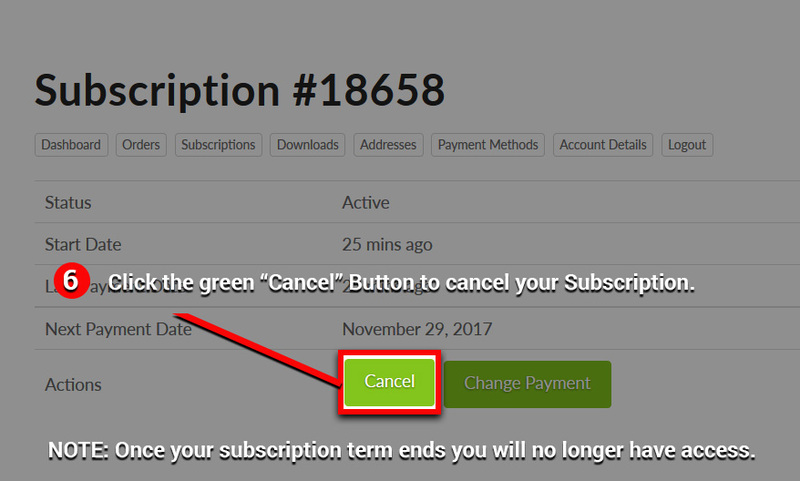 Click the green “Cancel” Button to cancel your Subscription. 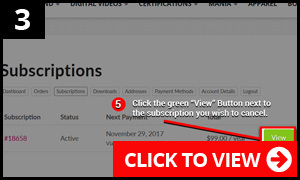 Once your subscription term ends you will no longer be billed and access to this premium content will no longer be available.